Ever wonder how the environment and natural surroundings will affect the design of a home? Here is a sample of a typical site analysis we think through in the design process, and sometimes illustrate for the client. 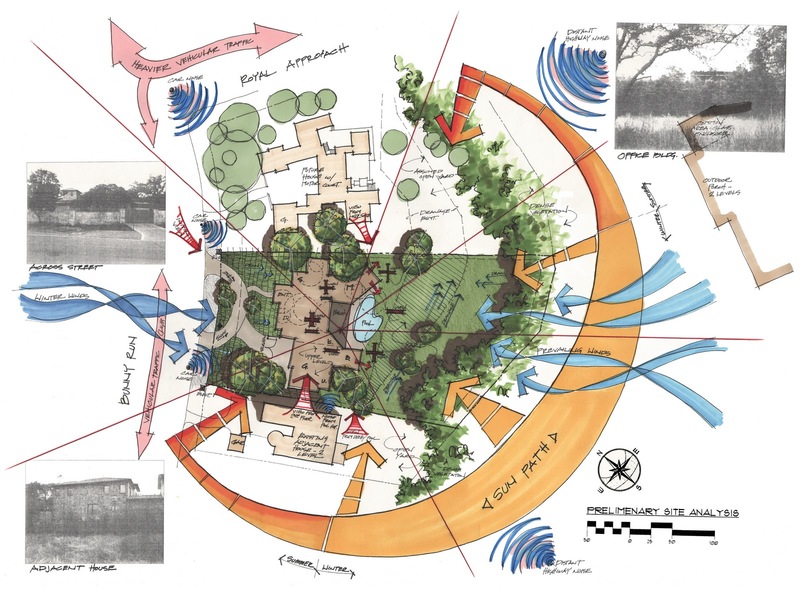 The interplay of the building mass and natural features, such as trees, sun path, wind patterns, and the form of the land are important items to consider and can help ensure that the site is utilized to maximum advantage. As you can see, construction is almost completed for Ben Archer State Farm Insurance in Bee Caves! 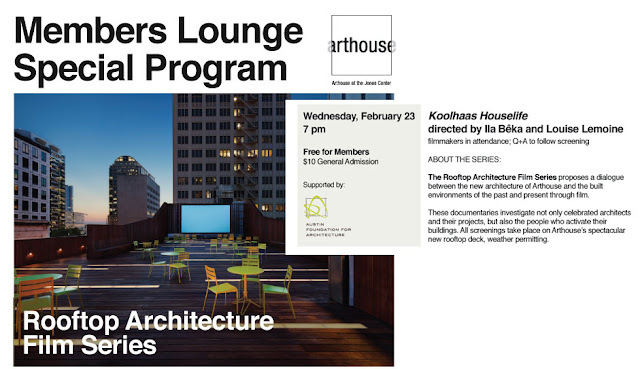 The newly renovated Arthouse at the Jones Center downtown is hosting the Rooftop Architecture Film Series beginning next week. The roof deck, made of Ipe wood and laminated glass light boxes, measures 5,000 square feet and is equipped with a 22 by 13 foot movie screen. The deck provides panoramic views of downtown Austin. Visit their website for more information!